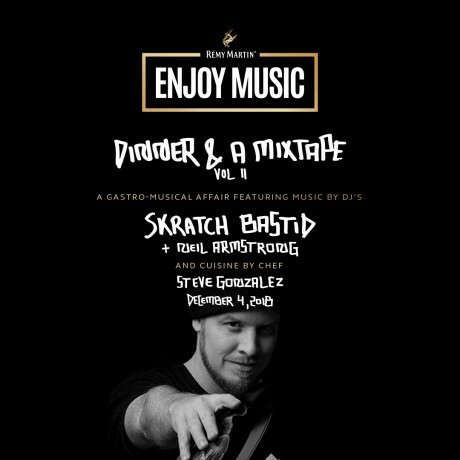 This is the mix Skratch Bastid prepared for the evening; it accompanied the appetizers & starters served from Baro head chef Steve Gonzalez’s Colombian-inspired menu. This mix, as well as DJ Neil Armstrong’s mix & Steve Gonzalez’s recipes for the menu, were presented to all dinner guests on a mixtape-USB. Check your local eBay listings for that one, but for now, enjoy this mix featuring Hip-Hop, Colombian/Latin American grooves, and Dancehall. 45 minutes of flavour.